As best you’ve can, you’ve determined your TVPad device is working just fine; there’s just a blank, black screen. If you can get to the screen and select an app, it never conects. You’ve triple-checked your internet connection and confirmed that there isn’t a problem there, so what’s up? If the problem isn’t your actual TVPad device being broken or a spotty or poor cable internet connection, then we’ve got good news and bad news (and good news) for you. First the good news is that your TVPad and internet aren’t the problem, so you don’t have to worry about that any longer. The bad news is that it’s an TVPad service issue (i.e. not the box itself) and the official service won’t be coming back. This is all thanks to a lawsuit that forced the company to turn off the service it was providing to thousands of TVPad users streaming broadcasts from China, Korea and Taiwan. I know, it’s a bummer. Both my mother, father and multiple relatives across the United States rely on TVPad to stay connected, so I’ve been fielding calls. Breaking out from the normal good new/bad news structure, there’s some potential additional good news for TVPad users. Yes, the service outage is permanent; TVPad is coming back from the dead, at least officially. With hundreds of dollars invested into TVPad by family members, I wanted to see if a fix existed that users could get around the service outage. I came across this thread on TVPadTalk.com that pointed me in the direction of a possible workarounds to get the service going again. Sorry if you tried going to the above link, the thread was forced off line from a notice of order presumably from the lawsuit. Not only was the thread pulled from the internet, but the entire site was forced to shutdown and redirects to noticeoforder.com. Anyways, you don’t care about that, what you care about is fixing your TVPad service. Without getting into the nitty gritty again, the way you can restore your service is by simply changing your DNS address in the TVPad settings. 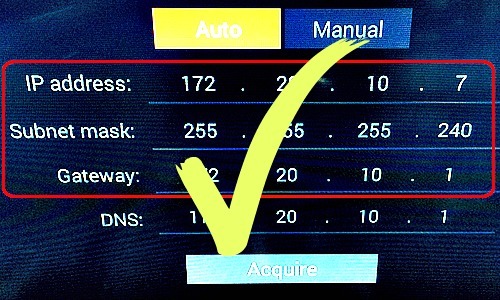 In an earlier post, we walked you through a handful of steps to replace those DNS numbers. Sound easy? Well, that’s the easy part. The much more difficult part is locating a working DNS address that gets your TVPad working like it once did. The complicated part is that it seems some DNS addresses work for some TVPads but doesn’t work for others all depending on where you are located (e.g. United States vs. Canada vs. Australia), TVPad model (1, 2, 3 or 4) and the apps you regularly use. On top of that, many of the DNS addresses that worked previously have been closed off. For your reference, here’s the Google cached page of TVPadTalk’s thread. TVPad not working? The TV box was blocked and shut down by lawsuits Problem with TVPad? Use this workaround to get TVPad working again What to do with the “TVpad user does not exist” error message? please send working DNS if you have, thanks!